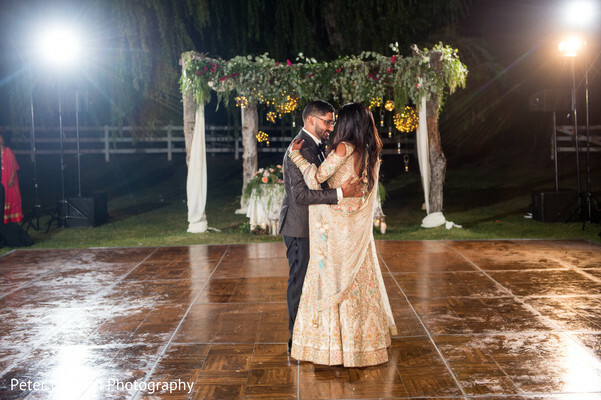 Lastly, Nilam and Jay’s heartwarming Indian wedding ended up with an outdoor reception at Saddlerock Ranch, that easily resembled a midnight summer dream in an October night! 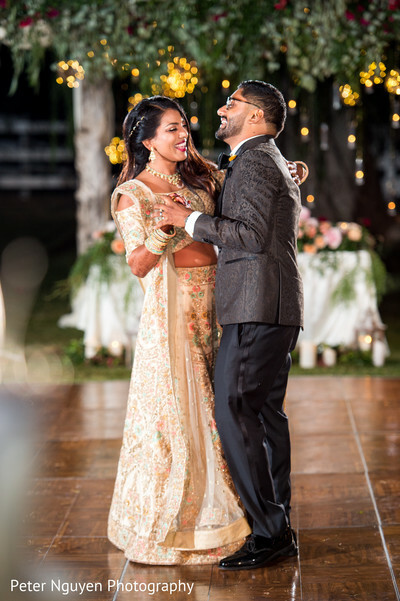 IndiSax was in charge of getting all the guests in party mode during the pre-reception cocktail while the lovebirds had a private photo shoot by Peter Nguyen Photography. 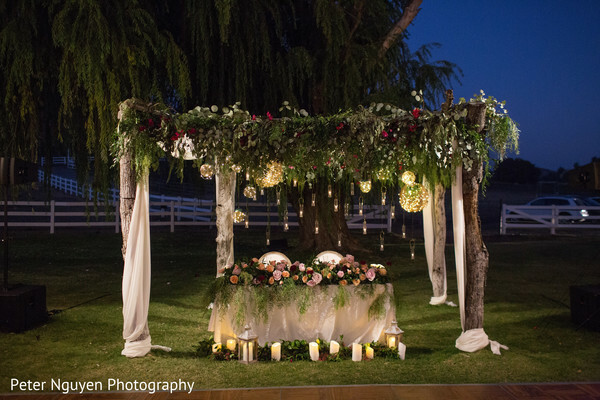 Shawna Yamamoto Event’s artistic floral décor, specially the sweetheart table, left us absolutely speechless. 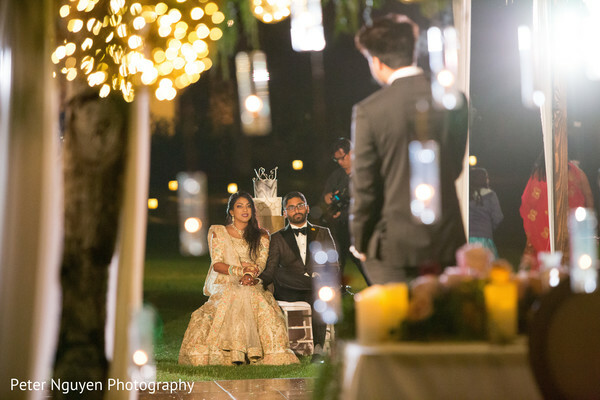 The natural environment and delicate lights gave a charm to this chic outdoor Indian wedding. 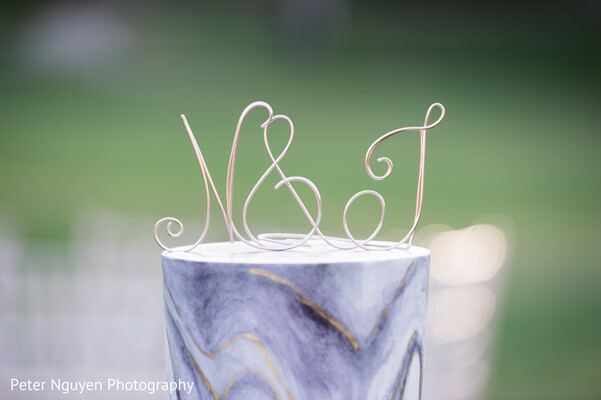 The four tiered contemporary wedding cake by The French Confection Co. stole all the guests looks. 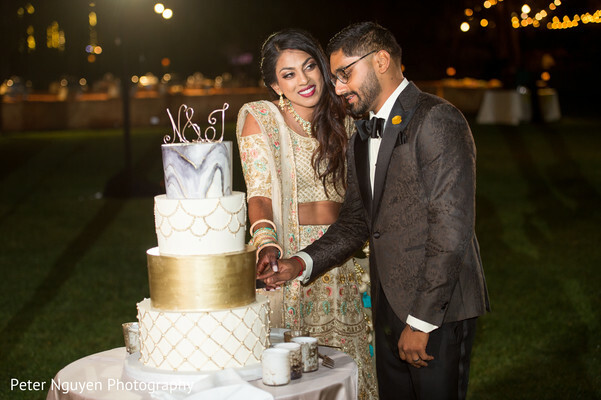 For this elegant soiree Monsoon Catering’s served a combination of traditional culinary flavors that delighted even the most demanding guests. 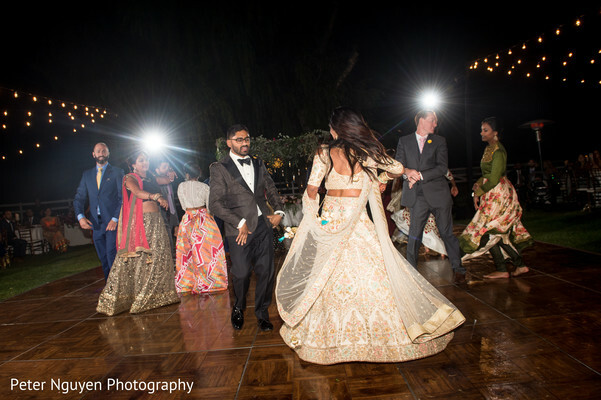 With the beats of 3D Sounds, the bride and groom took over the dance floor and showed their best moves. 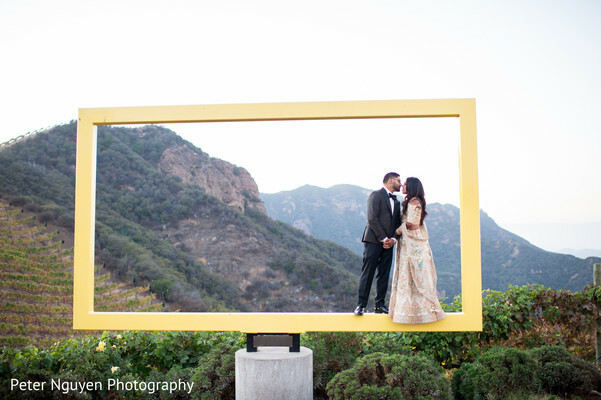 This party was one in a million and Union Photo Booth made sure everyone has a fun memory of it. 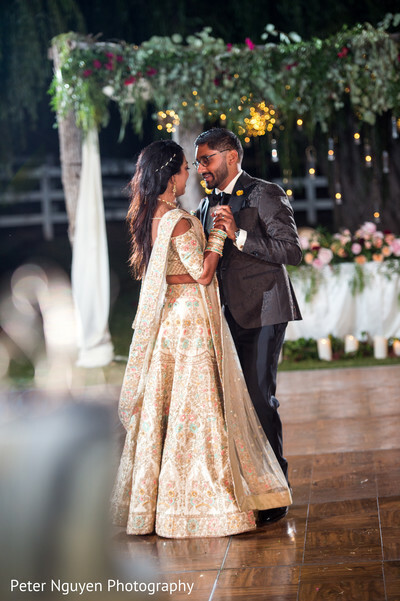 An event of this magnitude requires the experience of a pro like Planning Elegance who truly understood and knew how to interpret the bride and groom's vision. For more sweets pics, head to the full gallery. 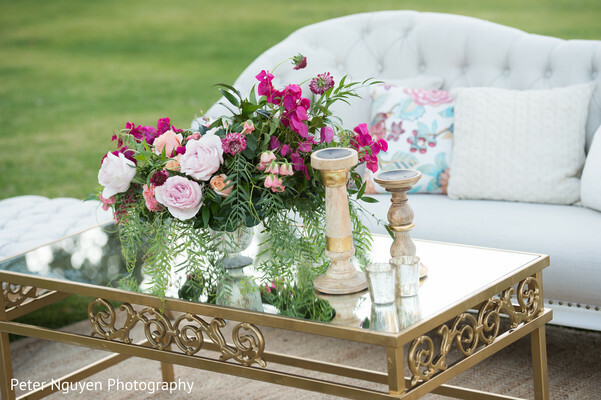 Have an amazing day, Maharanis!